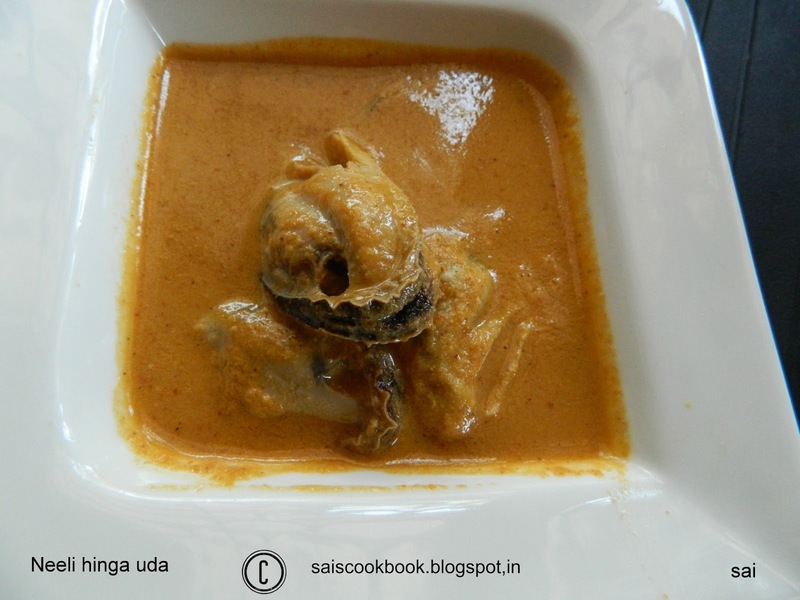 Neeli hinga uda is a popular GSB seafood gravy just like Sungta hinga uda or prawns hinga uda. 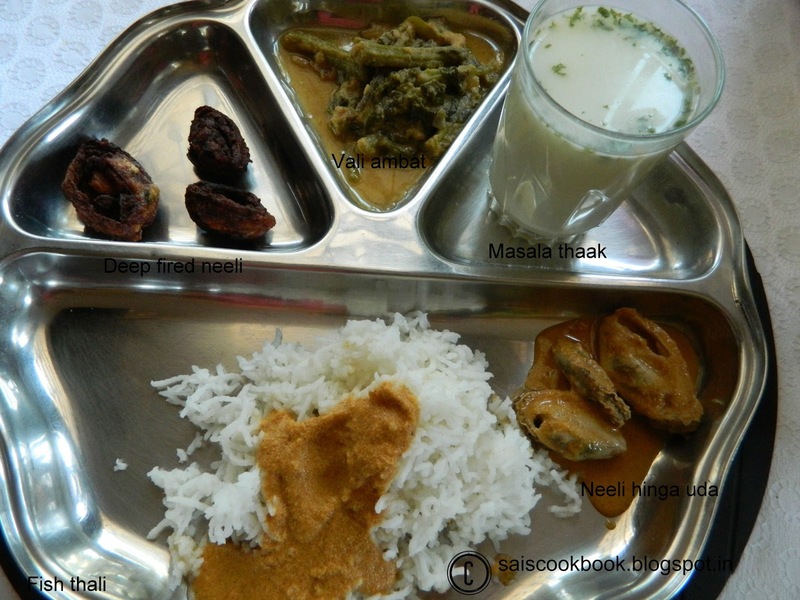 Today Amma prepared this aromatic curry and I devoured it heartily.Honestly,Amma has magic in her hands.I truly love the aroma of hing or asafoetida.The recipe is exactly as same as sungta hinda uda,only difference is instead of prawns,mussels are added,as simple as that.Same preparation may be prepared with potatoes,arbi,tender cashewnuts etc.This dish and recipe was contributed by my Amma. Refer here for cleaning of mussels. Grind the masala in a grinder under ingredients for the masala to a very fine paste. Add the masala to the mussels and take a boil. Simmer for few minutes and cook til done. 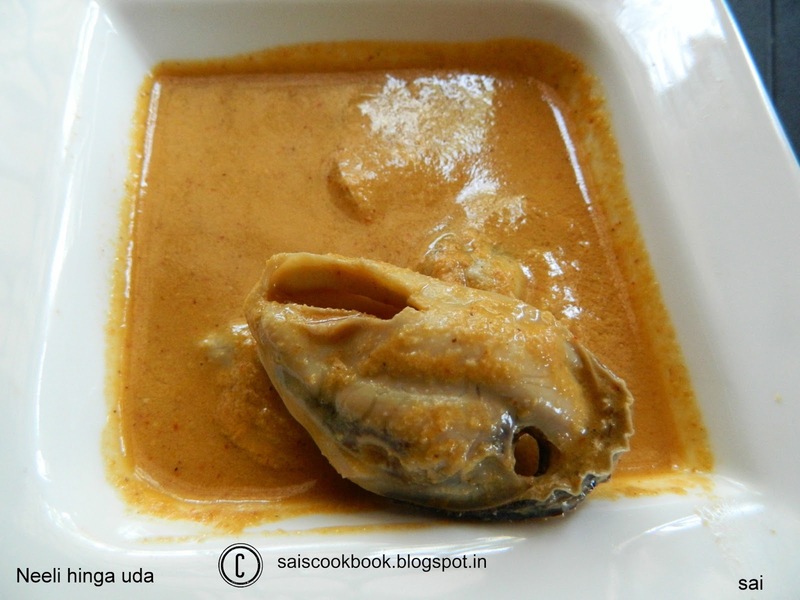 Serve it hot with boiled rice or white rice.